Are you a Lego fan? Nurture your passion for building and creating structures. This program will have students develop plans for buildings and other structures using various building materials and creative layouts and designs. Students will apply technical knowledge and understanding of scientific principles, mathematical concepts and communicative and technical skills, including CAD, combined with laboratory experiences, which are supportive to the architect and the architectural engineer. The industry standard AutoDesk and Revit computer programs are used along with project models in the classroom and a 3-D printer. Mr. Marshall, an Architectural Engineer and graduate of West Philadelphia High School, teaches Architectural Drafting and Design. Students are encouraged to take part in the Technology Student Association (TSA) and the competitive events and related programs resulting in academic development and endless possibilities in our global society. 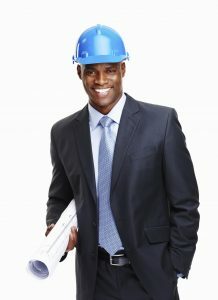 Students in this program can obtain an OSHA 10 Construction Industry certification.